Now, work is underway again to do just that, and people are taking notice. We’ve had some setbacks, but we’re still working diligently to get the drive inn open, even if it’s only for a couple weeks this season. If not this season, then that should give plenty of time to get all the work done that needs to be done. Currently, owners are planning a back to school party for kids and teens the weekend before the new school year begins. We will have information about this event when and if it is officially scheduled. 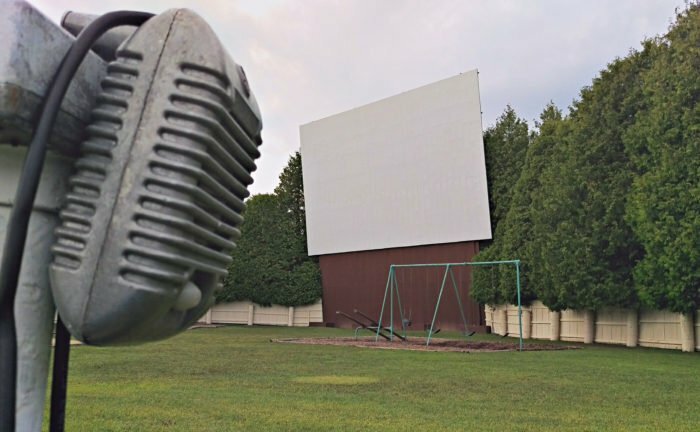 The Sunset opened on June 18, 1947 as the Mansfield-Galion Drive In Theatre, boasting “the new beside-a-car speaker,” perfect sound and vision, “dress as you please,” and “smoke and talk – eat at will.” The first movie shown was the Technicolor “Frontier Gal,” starring Yvonne de Carlo and Rod Cameron. “Frontier Gal” can be viewed on YouTube here. There are currently less than 400 operating drive-in movie theatres in the United States.